It’s a pretty big month if you’re a Star Wars fan. Rogue One just hit the theaters and if you’re a player of Star Wars: the Old Republic (henceforth SWTOR), the beginning of this month brought you a whole new expansion: Knights of the Eternal Throne. 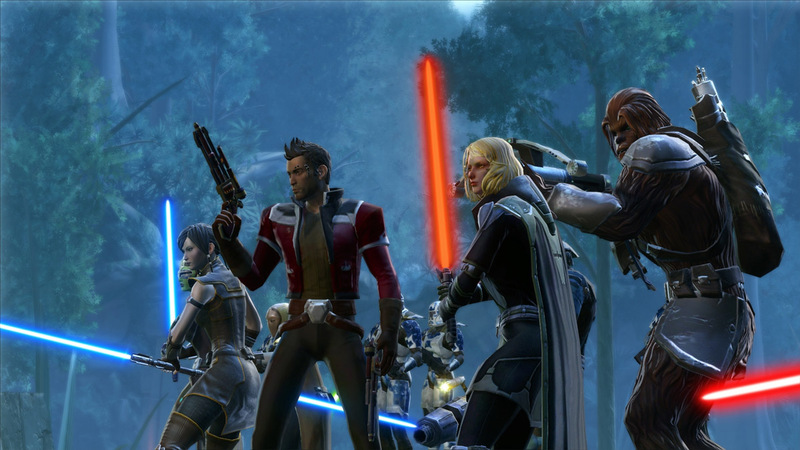 Over the years, I’ve kept tabs on the continued development of SWTOR, I game I greatly enjoyed from beta until a couple of months before the release of the first expansion. As I think was the case with a lot of players, I simply ran out of things to do. My friends had gradually stopped playing, and short of completing the latest raid, I’d seen all the game had to offer at that time. So with some reluctance, I hung up my blaster and moved on to other games. With the release of each new expansion, I was tempted to go back and see the new content; however, since I’ve always found it difficult to return to an MMO from a long time away, I held off. That was until a couple of months back when I saw the CGI trailer for the then just announced expansion, Knights of the Eternal Throne. I was blown away. It completely rekindled my interest in the game and I was excited to see what this new story-driven experience was like. Being me, however, I couldn’t just jump into the new Outlander content (i.e. the content of the newest two expansions). Oh, I had the means through tokens that come with the two latest expansions (they let you create a character at level 60 and 65), but I had to know what had happened in my character’s personal story since I left. Thus, why this is Part I of a Return to the Old Republic. In it I’ll be discussing the first two expansions (Rise of the Hutt Cartel and Shadow of Revan) as well as changes Bioware has made to game outside of content. Since this MMO Co-Opportunities, I’ll of course be emphasizing how the content and system changes have improved or hindered cooperating and grouping with other players. 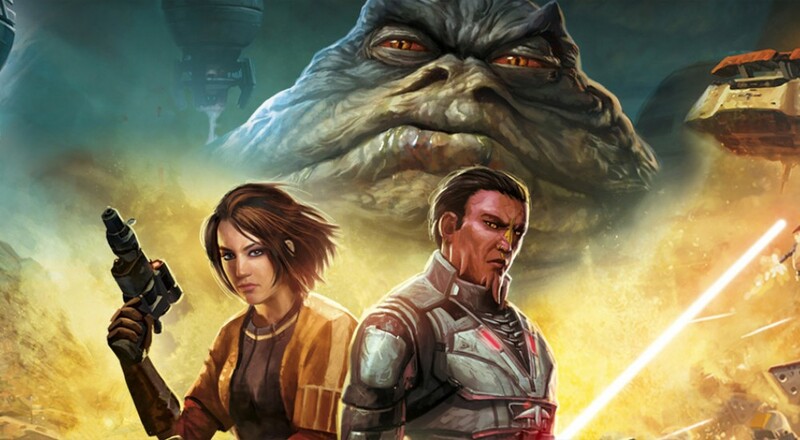 Let’s do a quick run-down of what Rise of the Hutt Cartel and Shadow of Revan added to the base game. Together, they increase the player level cap from 50 to 60, add three new locations (Makeb, Rishi, and Yavin 4), and introduce several Hard More versions of existing Flash Points as well as some brand new Operations. In my time back so far, I’ve mostly been exploring the personal story content and playing around with the overhauled game mechanics. To avoid story spoilers, I won’t go into any specifics regarding the personal story plots contained in these two expansions. Like the personal story missions in the base game, they have you running around to various locations that are usually instanced. Also akin to the missions I experienced before, they allow you to bring friends along to participate in cut-scene conversations while simultaneously receiving progression credit in their own personal story. While this format has been familiar, I have noticed several small quality-of-life and convenience improvements Bioware has made to the personal story experience. Most of the time when you’re given a new step of your personal story and it’s located on another planet, you’ll be able to teleport directly to that planet. Previously, this usually involved up to 5 minutes of travel while you ran back to your ship and “flew” to the other planet. Also, many of the missions provide a personal droid that has limited tanking, healing, and dps capabilities to help speed up the process. 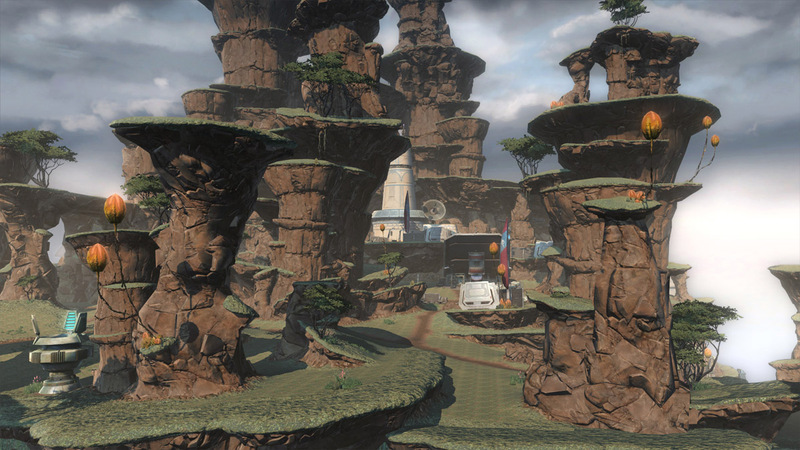 On top of that, the boss fights have little med stations nearby to provide a large healing boost. Changes like this have certainly improved a player’s ability to solo story missions. One aspect of the personal stories in these expansions that I must admit I’m a little disappointed about, however, is the lack of variability between classes. I knew a long time ago Bioware was moving away from class-specific personal stories in order to provide an experience that focused on depth instead of breadth, and I completely understand why they chose to do that. Still, I miss the feeling of having a specific identity in my personal story. As an Imperial Agent, I gleefully undertook missions of espionage in the base game personal story. With these expansion personal stories, however, I’m pretty much just a standard “protagonist” type. It’s a small thing, but something I wanted to point out. Page created in 0.7408 seconds.